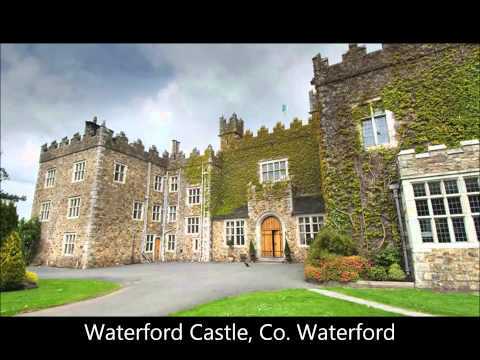 Kilkenny is a city steeped in history with Kilkenny Castle providing the primary attraction in the town. The city’s history dates back from the 6th century when it was a vibrant medieval town. St. Canice’s Cathedral was the centre point of the original town and the name Kilkenny comes from an anglicized version of the Irish name Cill Ceannaigh which means Church of Canice. The round tower at the church is the oldest standing structure in the town and one of only two round towers in Ireland that visitors are able to climb. At the far end of the town Kilkenny Castle is one of Ireland’s most popular visitor attractions. The 12th century castle has marked the crossing point of the River Nore for over 900 years. It was remodeled in Victorian times, which has impacted upon its design. The castle has extensive grounds with beautiful trails ideal for walking. For those looking for refreshment one of Ireland’s most popular breweries is located in the heart of the town. Smithwicks is an Irish ale that was started back in 1710 by John Smithwicks. He decided to build his Smithwicks Brewery on the St. Francis Abbey site in the town as it had its own water source and the monks had a history of creating their own ale for visitors! In 2010 to mark the 300 year history of the company the brewery was opened up to allow in tours. For those of you looking to add Kilkenny to your itinerary make sure to check if there is an upcoming festival. The Cat Laughs Festival is the biggest of these festivals and is an internationally renowned comedy festival featuring the best of national and international talent.